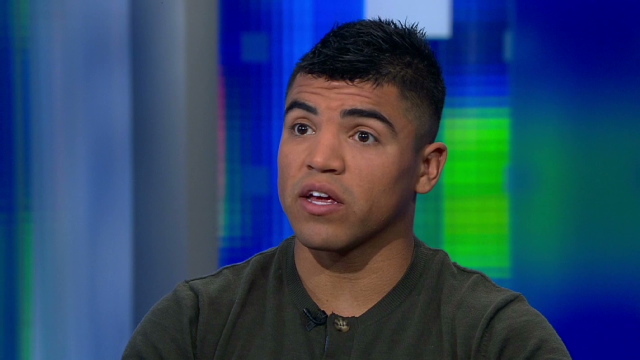 Tomorrow night, boxing champions Victor Ortiz and Oscar De La Hoya are guests “Piers Morgan Tonight,” ahead of Ortiz’s September 17 fight against Floyd Mayweather. Ortiz described his rough childhood. “It hasn’t really been too easy growing up,” he tells Piers Morgan. “My mother never came home. The WBC Welterweight Champion later talks about how he will prepare for the much antipated fight on September 17th. Watch the full interview Wednesday at 9pmET/PT. “24/7: Mayweather vs. Ortiz” is airing now on HBO and replays on CNN.